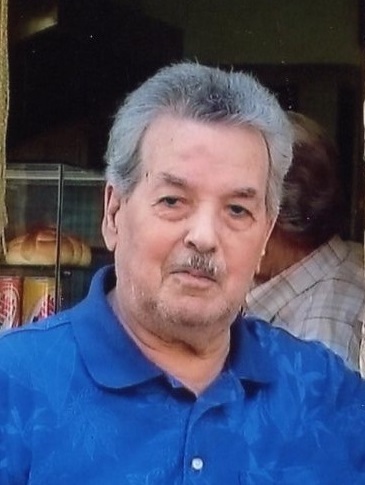 Vito Praia, 83, of Riverton, Illinois passed away at his residence while surrounded by his loving family on Wednesday March 20, 2019. He was born in Partinico Sicily, Italy on January 28th, 1936, the son of Pietro and Marianna Praia. He married Francesca Paola Bono in 1957, in Partinico, Sicily, and she preceded him in death. He came to America in 1969 with his young family, in search of a better life. All he had was his courage, his clothes and very little money... he didn't speak English, had no job and was uncertain about his future. Through the Grace of God and hard work and sacrifice, he was able to rise out of poverty and made a life here with his family... all the while, helping others along the way, even when he didn't have enough for himself, never expecting anything in return. In 1970, with meager savings, he opened "Frances' Italian Pizza House" on the corner of Peoria Rd. and Sangamon Ave. in Springfield IL, and later to Riverton IL. Him and his family labored long hours everyday for many years to make a life here... through the years, he befriended many kind people and developed a lifelong bond with many. He is a shining example of what God put us on this earth to do... to be courageous, to be giving of yourself and help people in need, and to be kind to all you meet... that is how he lived his life to the very end... a lion with a big heart. He will be forever loved and missed... Heaven has gained another Angel. Individuals that preceded him in death are his Mother and Father, and 2 Brother-in-Laws. He is survived by his children, Anna Maria of Riverton, Peter (Penny) of Springfield, and Edward of Riverton. 8 grandchildren and 6 great grandchildren. Sisters, Giovanna Pensabene of Springfield and Caterina Porcasi of Partinico, Sicily, and brother, Salvatore Praia of Partinico, Sicily. Many nieces and nephews. Visitation will take place on Monday March 25, 2019 from 4pm to 7pm at Ellinger-Kunz and Park Funeral Home 530 N. Fifth St. Springfield IL, 62702. The funeral will take place the following morning at 10am, with a burial at Calvary Cemetery in Springfield to follow. To honor the memory of Vito’s life and giving spirit, individuals wishing to make donations are encouraged to “pay it forward” to any individuals or foundation that they deem to be in need. God Bless you.